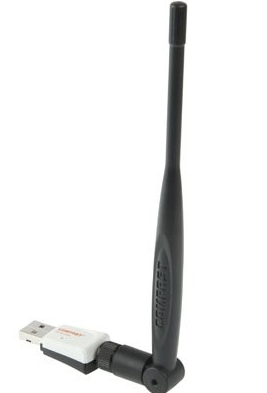 Comfast CF-WU730A Driver Download - Comfast CF-WU730A is High quality USB 2.0 wireless network card with antenna, this adapter support Wireless N speed up to 150Mbps, ideal for internet surfing and on-line gaming for your daily activity. Comfast CF-WU730A Complies with IEEE 802.11n (Draft 2.0), IEEE 802.11g, IEEE 802.11b standards, it can be use with Quick secure setup, complies with WPS for worry free wireless security, Comfast CF-WU730A complies with CCA technology enhances your signal stability by automatically avoiding channel conflicts. With MIMO technology on Comfast CF-WU730A, makes wireless transmission rates up to 150Mbps, this wifi adapter also Supports 64/128-bit WEP, as well as WPA/WPA2 and WPA-PSK/WPA2-PSK encryptions and builth in with 5dBi Gain antenna. Comfast CF-WU730A Supports Window 7, XP, VISTA, MAC Linux operating system. we provide download link for Comfast CF-WU730A driver, you can download driver Comfast CF-WU730A for windows, mac os x and linux. Operating system : Windows 2000 / xp / vista / win 7 / linux / mac etc.